Earlier on December 20th of 2006, the United Nations first founded the event of International Human Solidarity Day. This day was presented by the General Assembly, as the U.N believes that solidarity is one of the fundamental and universal values that should underlie relations between people of this generation. On this day, governments around the world are reminded of their prior agreements of the agreements that they have made on an international level in order to sustain the initiative of fighting against poverty. People like you or me are suffering out there because of the inadequate resources they have to live. These are sometimes as simple as clothing, shelter or even a clean resource to water. This year, the team at Peace Welcome Club (PWC) suggested participating in this year’s initiative of spreading awareness on a day that really helps to bring the world together. International Solidarity Day will be regarded as an event yet again this year on December 20th. Some of the initiatives that we will be helping to spread awareness on will be making health and medication accessible to those in need, helping to achieve universal education and last but not least fighting against poverty, corruption and terrorism. Let’s conquer these world problems one big initiative at a time! With the suffering of many in small parts of Africa because of the outbreak of Ebola, many could have been cured if it weren’t for the inadequate healthcare that is provided there. Groups such as World Vision, Red Cross and the United Nations have gone above and beyond expectations to provide healthcare facilities to these unfortunate people. This is where human solidarity is taking place in order for various groups to come together and assist as much as they can on an international effort that will in turn help to save as many lives as possible. In today’s developed nations, girls and boys are treated the same way and they also have the equal opportunity of succeeding in getting an education as well as a job from the times of preschool to the end of university. However, in other developing nations there are girls that don’t even get the chance to be able to go to school and get an elementary education let alone a post-secondary education. This isn’t ancient times where women aren’t regarded as people but this is the 21st century where women should be treated the same way as men are. With the uprising of corruption and terrorism, it can be a hard to keep people safe and away from the harm of these things. In order to reflect on the Human Solidarity Day, PWC urges for countries around the world to come to a conclusion or agreement to help ban land mines or just stop the military for the day, as people’s safety should come first. Let’s all bask in the endless peace that can be created with the solidarity of humans around us and the agreements between nations. Have a safe and happy International Human Solidarity Day! 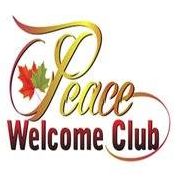 On February 29th of 2012 Harnoor Gill founded the Peace Welcome Club (PWC). At the young age of 14 in Grade 8, Harnoor had a vision to lead volunteers to campaign about newcomer opportunities not being available or interpreted as much as it should be. Therefore, Harnoor came out with this idea to create a mission to promote Youth Volunteering across the world! Now at the age of 16, Harnoor Gill has created a youth-led project that is known worldwide. Currently sitting at 3060 Facebook likes, Harnoor Gill is an inspiring role model to every teenager out there that wants to get to know and become just like him. His cause is special as it highlights a part of Canada that seems to be least addressed, which is to address the never-ending flock of immigrants that land in Canada. Being an immigrant himself, Harnoor soon realized how deprived the resources really are regarding ways to become integrated in the community and how to enjoy yourself to the countries’ endless opportunities as an immigrant. Harnoor believed that the only way to get something out there was to start an initiative on his own, which is how he came to becoming the founder of Peace Welcome Club along with the huge support of his dedicated parents. Harnoor launched this group of his with a bang by doing such awesome things at an amazingly short lifespan. Before Harnoor even entered high school itself, he had volunteered for over a 1000 hours showing his dedicated community service as well as true dedication towards his community needs. Some of the organizations that Harnoor has spent countless hours volunteering with are Halton Children’s Aid Society, Town of Halton Hills, Willow Park Ecology Centre, Protect Our Water and Environmental Sources, Cogeco Television, Georgetown Hospital Foundation and many more organizations in local communities. Harnoor even goes out in the community and leads events through his club such as initiating the conversation to make change while promoting worthwhile community causes and engaging as well as empowering local and global youth through his group’s various community initiatives. He has lead events such as the Jean Green Drive, the Book Drive and the Food Drive to help and raise awareness about the people in need of these resources. In the Jean Green Drive, the PWC has donated more than 3000 jeans worldwide. In the Book Drive, the PWC has donated over 10 000 books locally as well as internationally. Last but not least, the PWC has donated more than 500 canned food items locally during Thanksgiving to people in need. The sole purpose or goal of Peace Welcome Club as a whole is to inform youth that age is not a barrier to volunteer because Harnoor Gill is a clear piece of evidence that has been denied a job as a volunteer but he got right back up on his feet and tried somewhere else later. With the motivation and perseverance he had of volunteering his services and time to organizations, he received countless achievements and awards for them. Teen titan, Harnoor also happens to be a writer that also writes for many of the top publications of his time. Many leading publications such as Good News Toronto, Amazing Kids magazine, Indo-Canadian Voice, South Asian Generation Next, Asian Journal, Snap Caledon have contributed towards PWC’s initiatives from Harnoor. As an avid writer and child advocate, Harnoor has successfully had his writing published on Indo-Canadian Voice, Asian Journal, Times of India, The Independent & Free Press, Your Commonwealth, and in Amazing Kids! Magazine. Some of his hobbies include being an enthusiastic and creative individual who loves to read books, write articles, and play basketball. Some of them happen to include Canada’s Top 15 under 15, Peace Medallion by YMCA and the Queen’s Diamond Jubilee Medal that Harnoor has received for the tremendous amount of work Harnoor has put up in the community. He was recognized as one of Canada’s Top 15 Under 15 by the national magazine, Canadian Family in 2011. Harnoor has won numerous awards including the Peace Medallion by the YMCA and Queen Jubilee Medal in 2012. He also received the International ‘Diana’ Award and International Eco-Hero in 2013. Harnoor has many awards to count on his accolades list and has been well known to the community on a global stage. A proven role model to youth in the global community, he hopes to continue to add his new ideas and direction about his journey with the World Vision community. Peace Welcome Club also has Youth Ambassadors that are handpicked by the Board Members of PWC and Harnoor. Guess, what, youth from India, Qatar, Hong Kong and Canada came on board as Youth Ambassadors to serve on the Board! Each Youth Ambassadors was profiled in national and international publications for their achievements and efforts. Many leading publications such as Good News Toronto, Amazing Kids magazine, Indo-Canadian Voice, South Asian Generation Next, Asian Journal, Snap Caledon have contributed towards PWC’s initiatives. Moreover, every month, Youth of the Month is selected and profiled on PWC’s facebook page. Harnoor Gill and the Youth Ambassadors are a small but friendly group of volunteers whose mission itself is to promote youth volunteerism. Harnoor and his team also spread environmental awareness towards our endangered marine friends or beloved wild life by participating in the Canadian Shoreline Clean-Up as well. “Remember, the easiest way to get involved is to like our facebook page as we are only a like away. With constant updates, there is no social media outlet or website that works better than Facebook and Peace Welcome Club has been using it ever since the founding in 2012”, says Harnoor. This is the best way to stay involved as well as stay connected because social media is at its highest as of right now. Harnoor Gill is a teenager with nice ideas and he is an amazing role model to other teenagers in high school around him. Real peace requires a deeper understanding of many aspects that contribute to lack of peace and harmony.